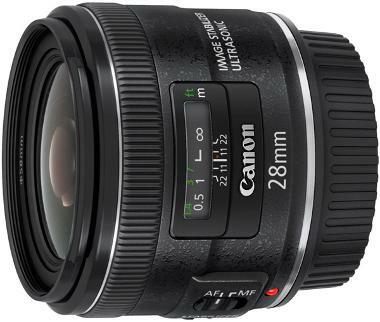 The Canon EF 28mm f/2.8 IS USM is a standard wide angle lens providing edge to edge sharpness and contrast while correcting for linear distortion, which is great for architectural photography. It is equipped with image stabilization allowing the use of shutter speeds up to 4 times slower than recommended when hand holding with no perceptible increase in image blur. It also offers a Ring Type Ultrasonic Motor and full-time manual focus for fast and silent AF which is very useful when recording video. An angle of coverage at 75 degrees can produce some unique perspectives, especially focused in at only 9" from the subject. 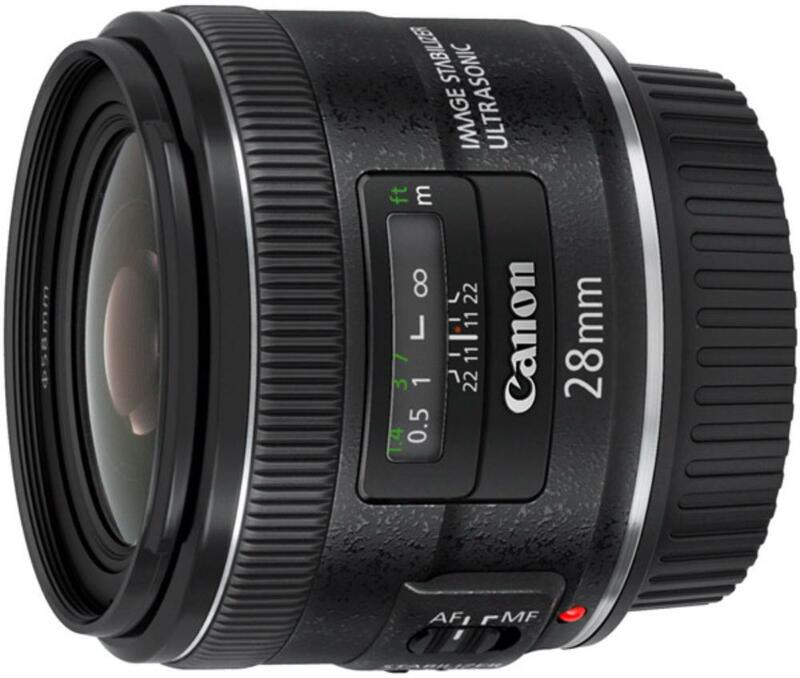 This lens is ideal for shooting in small spaces, interiors in general, street photography, and events.